The English Accent, what did our ancestors sound like? In Family History, we are used to accessing our ancestors through the written word and images. We are rarely able to listen to their voices and although we can make a good guess at what they would have spoken like up to say 150 years ago, it then gets tricky. A group of Canadians visiting Hampshire UK were getting their tongues around some tricky place names and surnames, Chawton (as in Jane Austen) and Beauworth. A discussion ensued about the differences in English as spoken by Canadians, Americans and Australians, compared to that spoken in Britain and when the difference might have happened. Many might think that the change happened in the places that the English migrated to, i.e English spoken in Britain is the mother tongue and all other English evolved from it but there is another possibility for which there is a good deal of evidence and that is that the British in the 16th and 17th century spoke like the Americans and Canadians of today. 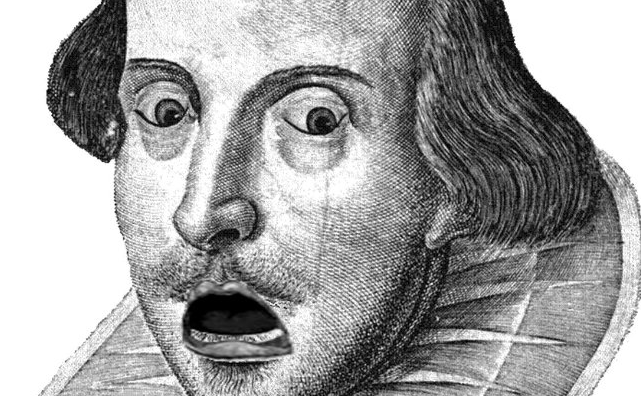 Go to a Shakespeare play performed in England and the magical lines will usually be delivered with ‘Received Pronunciation’, which is how most of us in modern Britain speak. However back in Shakespeare’s time things were a little different. 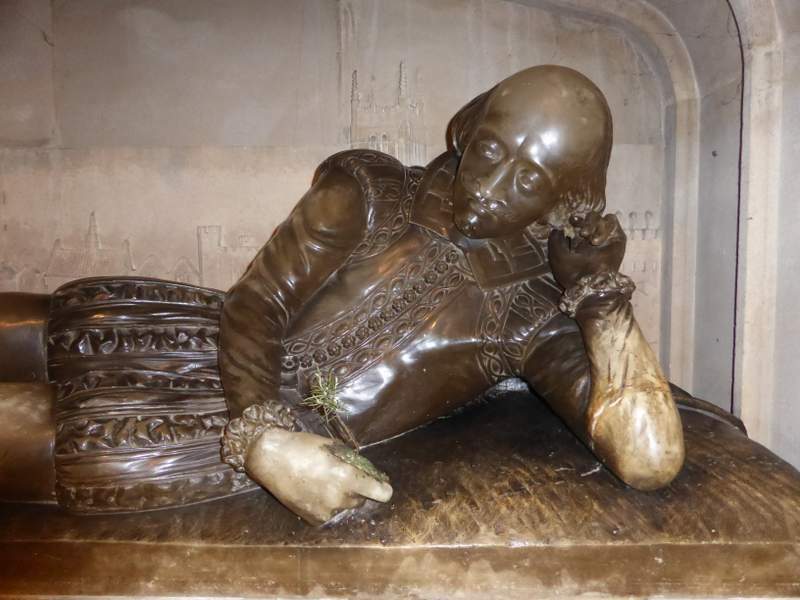 Would Shakespeare have been startled to hear his works performed with an American accent? English accents around the world are generally divided into two main accents. There are those who pronounce what is termed the historical rhotic consonant, which is the ‘r’ in words like ‘haRd’ and ‘paRk’. It comes after the consonant. English spoken in Canada and America and parts of Ireland and Scotland pronounces the historical ‘r’. Modern Britain however, with the exception of the southwest, parts of Lancashire, Australia, New Zealand and South Africa, speaks English with a non – rhotic accent. That is, we drop and soften out the ‘r’ in hard and park. As the 18th century progressed, there was a gradual shift from the rhotic to the non – rhotic accent. The change was gradual and more common in London and the south. But since we can’t here are ancestors voices how do we know this was the case? We can tell that the rhotic pronunciation was the original one for a number of reasons. The first and most compelling is, there has to be a reason why we write an ‘R’ after the vowel in words such as hard and park. Silent letters in the English alphabet were not always silent, they were there because they were being pronounced. Another way we can show that people pronounced things in a particular way is to look at spelling variation, especially from private correspondence. People wrote as they spoke and the ‘R’ was gradually dropped by people in private writing, not from the standardized form of course. So using the written word, we can begin to apply dates to when this change in accent occurred. The change in accent therefore happened in England. It occurred in the urban, dense populations, of the Industrial Revolution, we know that in such environments linguistic change can happen quickly, whereas in the more isolated settlements of the new migrants to America and Canada, with little mix in the population, accents stayed strong. These migrations came later when the rhotic ‘R’ was already turning or had turned off in Britain and so the English accents of people in these parts developed differently. So if you want to know how your English ancestors would have sounded back in Shakespeare’s day, take time to listen to our cousins in America and you will be closer to the voice of your Elizabethan ancestors than you possibly thought. Shakespeare would have been cool about it all.